Note: The following is an expanded version of a talk given by Alex Steiner at the Locomotiva Cafe in Athens on July 5, 2016. An enthusiastic capacity crowd of around 70 people were in attendance. In addition to Steiner's talk, Frank Brenner also gave a talk on the topic of "The working class and populist politics". Brenner’s talk can be found here. 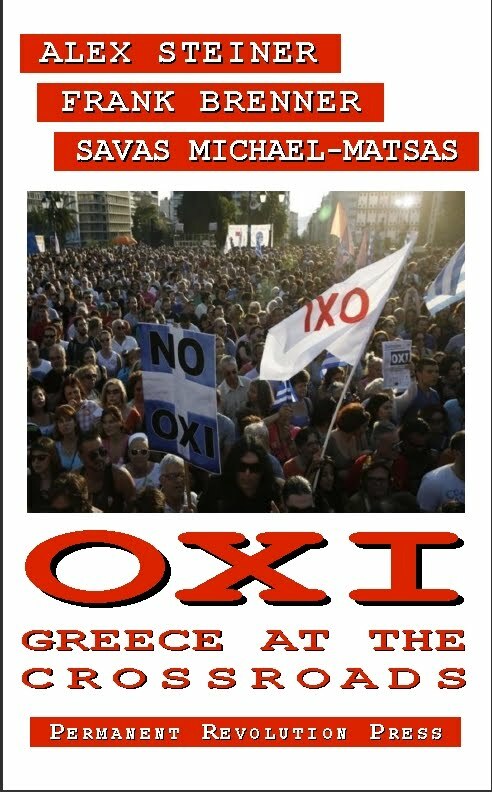 The meeting was chaired by Savas Michael-Matsas, the Secretary of the Workers Revolutionary Party of Greece (EEK). Savas also made a presentation on the significance of the vote for Brexit. It has become a truism of political commentators that something new and unexpected is shaping the political landscape in the U.S. in 2016. And it is indeed the case that American politics has seen nothing like the challenge to the two party system that has been the bedrock of the establishment since the days of the Civil War. At that time a new political party, the Republican Party, was born out of the opposition to slavery and almost overnight replaced the Whig party. Today we do not see yet the rise of a new political party, but we do see a radical challenge from within in each of the two main political parties. The situation is more advanced in the Republican Party where the right wing populism of Donald Trump has actually captured the Republican Party and taken its machinery out of the hands of the establishment that has dominated it for more than a century. But the campaign of Bernie Sanders, while not succeeding in capturing the Democratic Party, has exposed the deep fissures within that political formation and more importantly has brought out the profound alienation of millions of workers and young people from either of the two major political parties. 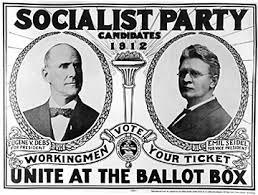 And it has shown, to the surprise or many, that the ideas of socialism, at least as popularly understood by many, can command a wide following in that most un-socialist of all countries, the United States. The takeover from within of the Republican Party has no precedent in American history and the only precedent for the division within the Democratic Party was the 1948 campaign of Henry Wallace, a former Vice President who broke from the Democratic Party, who opposed the cold war policies of Harry Truman and ran for President on the Progressive Party ticket. These dramatic changes in the American political scene are not unrelated to other dramatic changes in politics–as-usual that are taking place internationally. Here I can only mention some of them. First and foremost we have in Greece the displacement of the parties that have ruled the country since the end of the dictatorship in 1974, New Democracy and PASOK. The coming to power of Syriza, a self-described radical party, marked a new turn in Greek political life as was the landslide victory of the NO vote in the referendum that took place exactly a year ago. The fact that Syriza betrayed the mandate of the referendum and turned out to be more of a compliant accomplice of imperialism and the bourgeoisie than a radical alternative to it has not resulted in a return to the old political structure. The situation in Greece remains tense and unstable. And just this last week the vote in the UK for a Brexit has turned upside down the political situation not only in the UK but throughout the world. In France we see the rise to prominence of the neo-fascist National Front at the same time as there is a huge revolt by the working class against the new labor laws enacted by the ruling Socialist Party. Actions against the government are taking on levels of militancy not seen since May-June of 1968. As Marxists we understand that all these developments are connected and the string that ties them together is the world economic crisis that exploded in 2008. And while we understand that political developments arise on an economic foundation and cannot cut themselves loose from them, saying that is hardly adequate in trying to make sense of these developments. For the political life of nations has a logic of its own and is intimately tied to the historical development of each nation. At the same time, no nation is an island and especially today in the age of global communications we are witness to a cross fertilization of political developments between nations. To take one example, is it not obvious that the vote for OXI in Greece last year had some influence on the attitude of the of British working class who voted for Brexit on June 23 of this year? That being said I want to examine the American political landscape in 2016 to see if we can make any sense out of it as part of an evolutionary process whose seeds were planted centuries ago. An examination specifically of the Trump phenomenon provides a window on the American political scene in general. In sketching with very broad strokes how we got to Donald Trump and Bernie Sanders we can draw some lessons for revolutionary socialists. I should say right at the start that this is primarily a discussion of mass psychology, of trying to understand the collective psyche of a class that leads them to take the actions that they do. Some of you may have been here last year when I gave a talk on the dialectics of revolutionary strategy and tactics. In that talk I stressed that one of the most important jobs a revolutionary faces is – to paraphrase Lenin – keeping a finger on the pulse of the masses, trying to gauge their consciousness as it develops so that we can engage with them. Only if we have the most accurate possible understanding of the psychology of the masses as it enters political struggles can we hope to successfully intervene in those struggles. The method of transitional demands developed by Trotsky presupposes that revolutionaries are engaged in a continuing exercise, both theoretically and practically, to gauge the mood of the masses. Now there have been other attempts to explain the behavior of the masses that lead to the Trump phenomenon. A more or less orthodox Freudian interpretation sees the Trump phenomenon as an example of “the return of the repressed”. This idea presupposes the Freudian concept that the function of civilization is to control aggressive desires and anti-social behavior. Trump, according to this reading, has given permission to his followers to liberate themselves from all the constraints civilization normally imposes and give vent to their hatred of immigrants, their homophobia, racism and sexism. And if you combine this psychological interpretation with a sociological one, that older white workers have experienced a precipitous decline in their living standards since the 1970s and this has fed a resentment that encourages the expression of long hidden prejudices, then you have what seems to be at least superficially a credible explanation of the Trump phenomenon. Now while I think an explanation like this does contain certain insights, it is not adequate. And the reason it is not adequate is because it may explain the reaction of an individual but does not explain why and how a collective consciousness has come together at this point in American and world history, one that has momentous implications for our future. And to explain how a collective consciousness is formed we need to look at the culture that has evolved and the myths surrounding that culture and feed it. And the primal myth of American culture is the myth of a land of unlimited opportunity, what has often been called the American Dream. Now I should say right at the start that not everyone shared this culture or believed in this myth. Certainly not the Native Americans whose land was stolen from them and certainly not the Africans who were kidnapped and brought to North America as slaves to grind the wheels of the Southern capitalist plantation economy. But many Americans did and still do subscribe to one version or another of this myth, even many of the ancestors of those who were its victims, Native Americans and African Americans. Its origins go back to the time of the discovery of the New World. To Europeans first learning of the discovery of a new Continent untouched by the sad history of wars and pestilence that marked Europe at the time of the Thirty Yeas War it seemed that this was a paradise on Earth. Utopian visions based on the New World became a common literary device in the 16th and 17th century. Waves of immigrants, often fleeing religious persecution at home, came to the New World. In the 19th century, this myth still had traction among Europeans, to the extent that even in the Socialist movement, the idea of going to America was considered equivalent to achieving socialism. 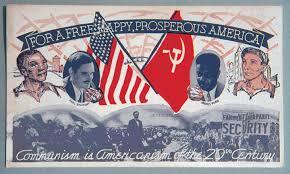 A leader of the German Social Democratic Party, Wilhelm Liebknecht, once declared, “Our America is in Germany”. What he meant was that once socialism was established in Germany, workers wouldn’t need to emigrate, but clearly this also meant that life in a socialist Germany would be as good as life in America, the assumption being that life in America was as good as life would be in a socialist society. This belief in the myth of the American Dream was prevalent among the waves of immigrants from Europe who came to North America at the end of the 19th and the beginning of the 20th century and who became the core of America’s industrial working class. Of course the contrast between the stark reality of the miserable conditions faced by the newly arrived immigrants and the promise of the myth of the American dream soon led these immigrants to embrace radical politics, in many cases turning to the same socialist movements they had left behind in their native countries. But even then, the myth refused to die. 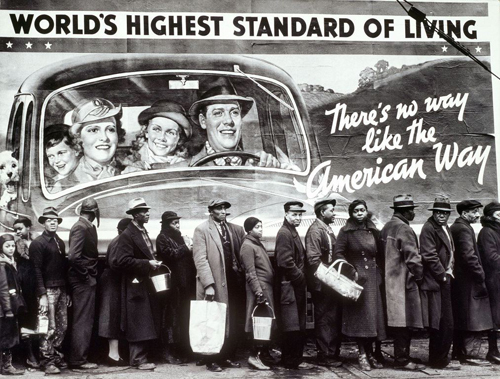 Iconic Margaret Bourke-White photo from 1937 depicting contrast between dream and reality. This idea of “Americanism” encompasses the fulfillment of a dream of endless opportunity and happiness - the reason it has functioned as a substitute for socialism. In seeking an explanation for why the American working class never broke from the two party system, one cannot discount the political history of the working class in the United States. Certainly the role of the Stalinist Communist Party played a big part in keeping the radicalized working class of the 1930s tied to the Democratic Party. But if you look a little deeper you will see that they were able to accomplish this to large degree because their politics reinforced rather than challenged the myth of the American Dream. 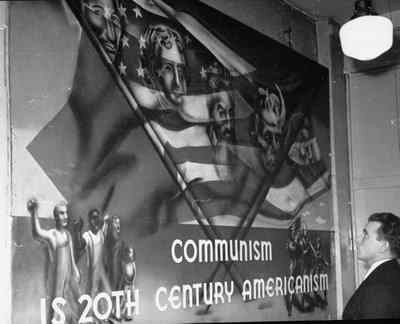 It was not completely arbitrary that during the period of the Popular Front the Stalinists adopted the slogan, “Communism is 20th century Americanism”. There could hardly be better confirmation for Samson’s thesis that in terms of the psychology of the American working class, Americanism had become a substitute for socialism. 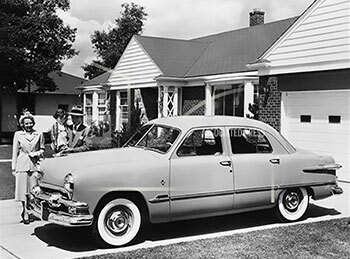 The high point of the myth of the American Dream, the period when its promise seemed to be realized, was the postwar period of the 1950s. It was a time when the average American worker did better than at any time previously or since. Not coincidentally, this was the time in the immediate postwar period when American imperialism achieved global supremacy, replacing the old empires of Britain and France that had been shattered by World War II. Union membership was at an all time high and most skilled workers managed to create a middle class standard of living for themselves and their families. 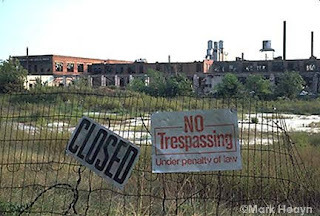 This period of relative prosperity began to deteriorate by the late 1960s and the following decades saw the de-industrialization of many American cities and the decimation of the standard of living that many workers assumed was their birthright as Americans. We all are acquainted with the effects of globalization and the neo-liberal policies that were ushered in beginning in the 1970s. In trying to understand the Trump phenomenon we need to look at the effects these developments had on his core constituency, the specific demographic of the largely white and largely male working class that was decimated by the effects of de-industrialization. Particularly beginning with the union busting assault of the Reagan Administration in the 1980s, this group of workers came under fire and saw its living standards drop precipitously over the next three decades. I would like to cite just one statistic to illustrate the decline of this demographic: Life expectancy has been declining since the late 1990s for white, middle aged males who do not have a college education. This period of decline continued during the Democratic Administrations of Bill Clinton and Barrack Obama. Politically is it any wonder that this group began to desert the Democratic Party and vote for Republicans, something an older generation of workers who had fought the battles to unionize in the 1930s and 1940s would have found unimaginable. Much ink has been spilled trying to explain why it is that workers in America began to vote against their class interests. The Republican Party has always represented the interests of big business, the Chamber of Commerce, the financial elite of Wall Street, the magnates of the corporate America, in short all the traditional enemies of the working class and of unions. Why would workers vote for this party rather than the Democrats who at least in words claimed to support unions and claimed to fight for the welfare of workers? Clearly part of the reason for this realignment of political forces has been the transformation of the Democratic Party and the unions, particularly in the last three decades. The Democratic Party has in the last three decades abandoned the coalition with labor that marked the New Deal and the period afterwards. It abandoned its working class base and replaced it with a middle class and more affluent constituency. The unions have in the last three decades been reduced to a tiny percentage of the working class and the capitulation of the trade union bureaucracy in struggle after struggle has alienated more and more workers. On the other hand, the Republican Party, sensing an opportunity, took advantage of this disaffection of the working class from the Democrats and the unions to court these workers by adopting a populist rhetoric at the same time as they continued to press ahead with their anti-working class policies. But what really cemented the relationship between the Republican Party and these disaffected white workers was the appeal of the Republicans to the “values” shared by these workers. The right wing was attuned to the importance of “values” whereas the left ignored it, thinking that elections are won and lost solely on bread and butter economic issues. And as for those bread and butter issues, along with the appeal to “values” the Republicans managed to successfully redirect the anger and resentment of the working class from their bosses and oppressors and the politicians who serve their interests onto the bureaucrats in Washington and the liberal elites. And what were those “values” to which these workers were responding? As it turned out they were the constellation of values required to live and maintain the American Dream, integrity of the family, the individualism that marked the myth of success, etc. 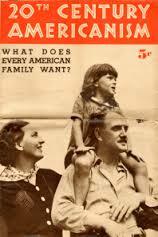 Of course some of the “values” pushed by the Republicans, religious fundamentalism and opposition to abortions, did not easily fit the traditional model of the American Dream, but were adapted to fit in with the rest of the baggage. And along with the narrative of values there came a narrative of those forces that were taking away their values. There were in previous elections in the last 16 years ongoing debates whether “values” are more important than economic issues. Those debates had an air of unreality about them. What motivates people are neither “values” taken separately nor economic issues taken separately, but defending a way of life that is threatened or fighting for a way of life they never had but dreamed about. And that way of life includes the nexus of beliefs and “values” that sustain a specific culture. But it is also impossible to maintain a way of life if you cannot pay the bills. So this dichotomy between “values” and economic issues was always a false dichotomy. With the onset of globalization since the 1970s the Democratic Party aligned itself ever more closely with the multinational corporate interests and their neo-liberal agenda. The reforms that the Party had stood for during the New Deal were jettisoned with the adoption of economic policies not much different than the Republicans, policies meant to keep wages down and ease the flow of capital across the globe. This was made very clear during the Administration of Bill Clinton who ushered in free trade agreements like NAFTA that made it easier for American companies to relocate their operations abroad. At the same time as he strengthened the hand of the multi-nationals Clinton spearheaded an assault on the social safety net that American workers had grown to depend on. He adopted the same reactionary rhetoric of “small government” and “self reliance” that was the hallmark of the Reagan and Thatcher Administration. And the Republican Party, even as it waged a reactionary campaign to impeach Clinton in those years, supported all the same policies. Republican political strategists also understood something that the Democrats did not, and for matter neither did the Left. That is that people do not make decisions on fundamental issues affecting their lives according to the model of “rational choice theory” or some other model of formal thinking. They do not without passion calculate which side in a political struggle supports their economic interests or supports it more honestly and consistently than some other side. 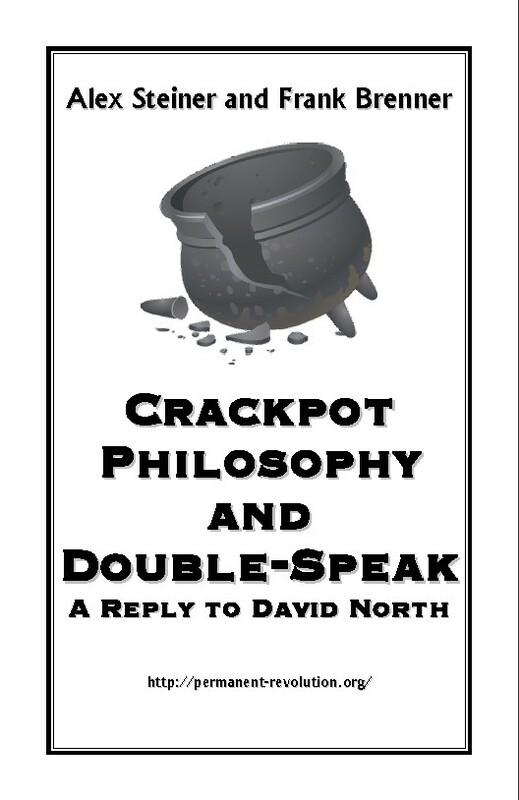 In reality such dispassionate “rational choice subjects” do not exist and never have existed. People make choices through a combination of thinking about their interests and their emotions. And these two elements of reason and emotion are inseparable in any real world situation. Add to this that one’s perception of where ones interests lie is often very fuzzy and inaccurate, and you have a chemical combination that is not amenable to the prognostications of rationalists. And in general, the Right has understood that you need to tap into people’s emotions much better than the Left. The combination of the superior political and psychological insights of the Right and the abandonment of any program of reforms by the Democratic Party, the disintegration of the organized labor movement and with it the disintegration of a shared historical memory and culture of struggle, explains why in the last three decades the Republican Party has captured the allegiance of a large percentage of the American working class, especially older white males. To counter the loss of its working class base and widen its appeal, the Clinton-Obama wing of the Democratic Party has sought to replace the class issues that it has abandoned with appeals to issues based on identity politics. This orientation commits them to nothing in terms of their major economic and foreign policy issues where their position is only marginally different than the Republicans. Income inequality has actually increased under the Democratic Obama Administration. But the orientation to identity politics does put the Democrats at loggerheads with all sorts of social issues championed by the reactionaries who have dominated the Republican Party, issues like the current controversy over whether transgender people can chose which bathroom they can use. All I have said so far is a necessary introduction to understanding what is happening in the 2016 election campaign in the United States. And what characterizes the 2016 election campaign and what makes it different than any previous one in recent memory is the reemergence of class issues. You will recall that earlier I said that explaining the excesses of Trump in terms of the Freudian concept of the “return of the repressed” was not adequate to grasp the dynamics of the Trump phenomenon. But perhaps there is a more profound application of the Freudian concept of the “return of the repressed” in trying to make sense of the American political scene in 2016 when we begin to understand it as the reemergence of class issues that have been buried and forgotten for decades. We see this quite clearly in the Sanders campaign in the Democratic Party. Sanders campaign was based on raising class issues such as increasing the minimum wage, free higher education for all, a government sponsored single payer health system and opposition to the free trade agreements that have caused so much misery to the working class. At the same time his speeches are peppered with denunciations of Wall Street billionaires and calls to return the country to the 99%. His office in Vermont features a portrait of Eugene V Debs, his closest political predecessor who ran for President as a Socialist in 1912 and received more than a million votes. Of course we understand that Sanders brand of “socialism” is basically an attempt to return the Democratic Party to the reformist policies of Roosevelt’s New Deal, policies which far from ushering in socialism, “saved capitalism from itself” during the Great Depression. But the important thing to remember is that regardless of the limitations of Sanders and his program, his campaign has energized millions and shaken up the Democratic Party establishment- now aligned 100% behind Hillary Clinton - like nothing in recent memory. 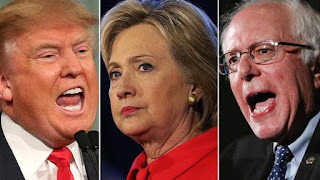 Whatever its final outcome, and despite Sanders shameful endorsement of Hillary Clinton, he has created a constituency, both inside and outside the Democratic Party, based on class issues, that will be looking for a political home. We can predict fairly confidently that the great majority of the Sanders constituency will not find a political home inside Clinton’s Democratic Party. Where they wind up is a question that revolutionary socialists should be grappling with. Now if the Sanders campaign represents a Left expression of class issues inside the Democratic Party, you can say that the Trump campaign also represents a turn to class issues inside the Republican Party. In Trump’s case the class issues are presented with a right wing agenda, intertwined with xenophobia, racism, denial of climate change and all sorts of other backward ideas. Trump’s campaign articulates the class issues in an inverted form. Instead of working class solidarity it gives voice to resentment towards others. Instead of directing its anger against the capitalist oppressors, it channels that anger to those below them on the economic scale – to immigrants, people receiving welfare and food stamps and others who are perceived to be getting special favorable treatment by the government. What distinguishes Trumpism from previous manifestations of Republican right populism is that it has taken the built in contradiction of the Republican campaign used so successfully until now and carried one side of that contradiction to its logical conclusion. That contradiction consisted in the combination of populist rhetoric and resentment against the elite, with policies favoring that same elite. Trump has simply dispensed with the policies favored by that elite. He has jettisoned the obligatory Republican support for free trade and other policies favoring globalization and the multi-national corporations. Trump is instead articulating nationalist and xenophobic policies favored by another section of the ruling class while demagogically depicting them as beneficial to the working class. This turn of events has created deep fissures within the Republican Party with many leading Republicans, including its 2012 presidential candidate, Mitt Romney, refusing to support Trump. Trump’s capture of the Republican nomination has been called a hostile takeover of the party and not without reason. Some liberal commentators such as Paul Krugman have noted that the Republicans cannot say they are surprised by the emergence of Trump’s brand of crude plebian populism for he is nothing other than the end product of the Frankenstein monster that they have nurtured for years. These commentators are correct as far as they go, but they also miss the point. The Republican Party had no choice but to nurture a plebian constituency by appealing to backwardness and class resentment if it was to attract a mass base. After all, there is no mass base available if it limited itself to espousing the crackpot economic theories of free marketers or the cult of heroic businessmen popularized by Ayn Rand. It had to have a mass base somewhere in the age of globalization if it was to compete with the Democratic Party. But now that mass base has turned against those who would manipulate it in support of free trade and globalization. Of course Trump is also manipulating this mass base, but in a direction he has chosen which is largely independent of the traditional Republican concerns. Trump’s slogan, “Make America great again” is a direct appeal to the myth of the American Dream with the twist that the Dream has been stolen from the common people and he is calling on them to reclaim it by electing him President. Who stole the dream? Trump’s list of scapegoats includes Mexican immigrants, Muslims, liberal university professors, even his business rivals. It is yet another incarnation of what Samson wrote long ago of Americanism being a substitute for socialism in the psyche of the American working class. And of course there is no mention of socialism in Trump’s campaign. He already has its replacement, Americanism. If Trump and Sanders are appealing to the disaffected and disenfranchised, those who are opposed to the status quo in however distorted a manner, the Clinton campaign appeals to those who are comfortable with the status quo, who think the promise of America has been realized, though perhaps it needs a bit of tweaking. Clinton’s policy will be a center right approach to domestic policies not much different than that of Bill Clinton’s, George Bush’s or Barrack Obama’s. We already know that her foreign policy agenda will be significantly more aggressive than Obama’s. It is no surprise that some of the neo-conservative establishment have declared their support for Clinton. If the return of the American dream in the Trump campaign shows that a significant section of workers still see Americanism as a substitute for socialism, then the coming out of the closet of the socialist label by the Sanders campaign signals that which was previously repressed has begun to liberate itself from the false cocoon of the American Dream. This idea was developed by Freud in his classic work, Civilization and its Discontents. Quoted in Paul Buhle, Marxism in the United States: Remapping the History of the American Left, p. 20. Leon Samson, Toward a United Front: A Philosophy For American Workers, p. 16. This was the subject of Thomas Frank’s 2004 book, What’s the Matter with Kansas. Thomas Frank, in his newest book, Listen Liberal, makes this point very clearly. One way of not engaging with those millions is to follow the path of the sectarian Spartacist League. A recent front page of their newspaper had as its headline in bold black letters, “Bernie Sanders: Imperialist Running Dog”. There is something compelling about the American rugged individual mentality that is empowering and Trump is the inspiration for that energy of defiance, do it alone. Isteadn of Obama "we can do it" we have Trump's I can do it and he say " I am doing it"
In a recent work on why the US trade union movement did not establish a labor party, the critical year for the study is set in 1893 and a comparison between the US and Australia, which did establish its labor party in that year is set up in order to elucidate the developments. Three reasons are given for the failure of the US working class trade union movement to create a labor party: 1) the ferocious physical and judicial violence of the capitalist class against all strikes and political organizing in the US; 2) the religious intensity of the US made trade union leaders wary of stepping into political issue that were heavily influenced by religious movements such as temperance; and 3) the lack of industrial unionsim (Australia's agricultural workers had been organized industrially ssuch as in sheep processing. I think this perspective makes the nature of the US working class's undevelooped political awareness of its interests as a class more understandable than Alex's positing of "Americanism" as a kind of alternate mass theory. I gather that the book you are referencing is "Why Is There No Labor Party in the United States?" by Robin Archer. I have not read it so cannot really comment on the substance of the author's arguments. I will say that I am skeptical of sociological explanations such as you are describing. It is not that they don't capture some of the what may have been going on, but I just don't think they explain very much. For example, there is no question that the working class in the U.S. was violently repressed in the 1890s. Does that really explain why no party of the working class emerged in the next 130 years with all the different ups and downs of the political landscape that we have seen. 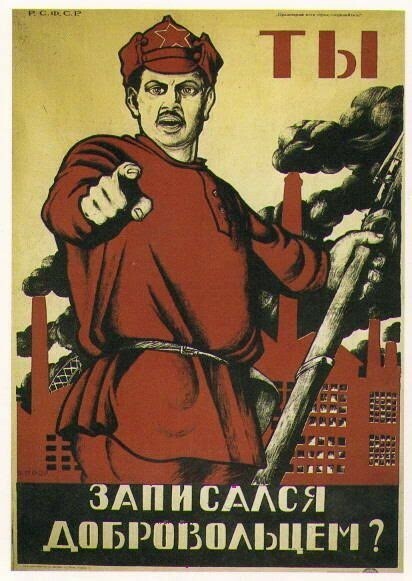 For instance, we saw in the 1930s a period where the working class was on the offensive and won many battles, including the creation of industrial unions. Why was the next step, the formation of a labor party, not taken then? I don't think you can answer such questions if you ignore the dynamics of mass psychology and how it interacts with and at times interrupts the political process. Are we seeing a situation where the traditional working class (industrial, concentrated, unionized) has become so transformed through de-investment, automation and union busting that oppostion to the capitalist class's policies more easily takes the form of middle class protest? In his work on post-war European history, Tony Judt (a social democrat and non-Marxist) writes that the slowdown of the 1970s and the weakening of the traditional labor organizations and parties contributed to the rise of nationalist, separatist movement, often violent, that did not want to replace capitalism, but negotiate, by force often, a better deal for the social layer constituting its main support (students, embittered professionals, disgruntled bourgoise politicians, small business people). Steiner and Brenner have written about the ideology of "Americanism" being the impediment to the growth of Marxist politics in the working class (It's still there, though not resembling its earlier 1930s self). But is it more important to focus on the changes in the way that the working class and middle class are now related to production in order to understand the slow even non-existant growth of socialist thinking among the population as a whole?